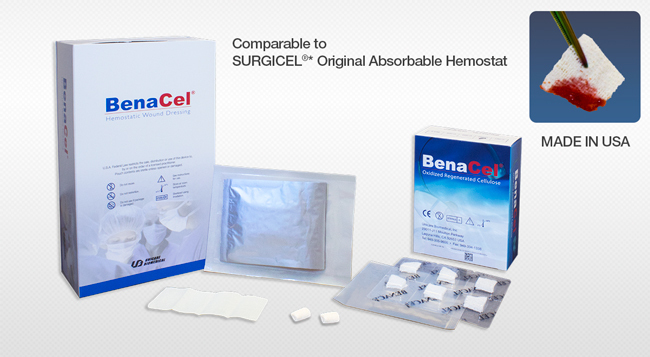 BENACEL® absorbable hemostatic dental dressing is a specially formulated gauze made of biocompatible oxidized cellulose and contains no harmful animal by-products or chemical additives. 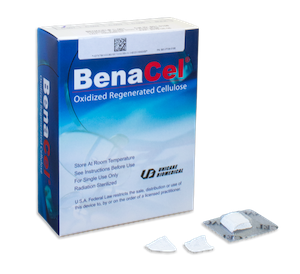 BENACEL® dental dressing adheres to moist oral mucosa and forms a temporary barrier protecting the wound from further irritations and pain. 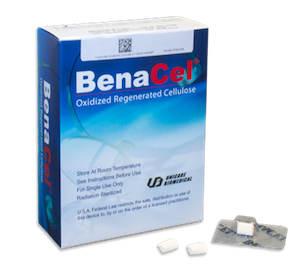 When placed in an extraction socket, BENACEL® dental dressing forms a gelatinous scaffold in the blood extrude, facilitating the development of a stable blood clot to prevent dry socket formation. 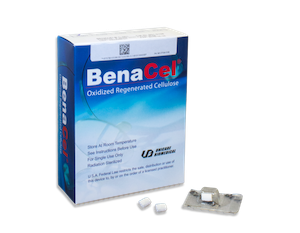 BENACEL® dental dressing is used for the management of bleeding and alveolar osteitis (dry socket) in extraction sockets. 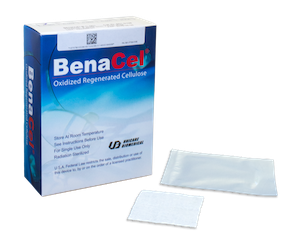 It may also be used as a wound dressing for the temporary management of oral surgical wounds, donor sites and traumatic injuries. After bleeding has been controlled, excess dressing can be removed by rinsing with sterile water or saline solution.